Reflections in the River Thames at Reading – looking west, near to Caversham lock (behind me), with Reading bridge just visible in the distance. 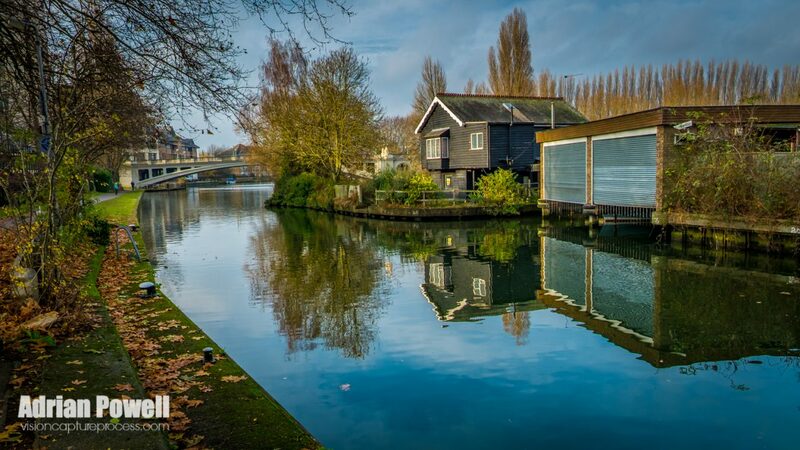 The photograph was taken on Friday during a lunchtime walk alongside the Thames – I had just walked across the weir and Caversham lock (picture to follow) and saw this house and the reflection in the water as I was about to return to the office. The water here was so calm compared with the torrents flowing through the weir just the other side of the house (which forms an island with the lock and lockkeeper’s cottage behind me.